In Federal Court on a Trust or Estate Related Matter and Want to Get Out? Princess Lida May Be the Answer. In the groundbreaking case of Marshall v. Marshall, 547 U.S. 293, 126 S. Ct. 1735, 164 L. Ed. 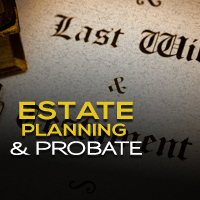 2d 480 (2006), the United State Supreme Court scaled back the (widely perceived) extensive parameters of the so-called “probate exception” to federal jurisdiction in cases involving estate fiduciaries or touching upon state court probate proceedings. As a result, more cases that involve probate issues, estate proceedings or the parties thereto are ending up in federal court. However, even though a plaintiff may successfully fend off a challenge to federal court jurisdiction based on the probate exception – as several have done (at least in part) – merely clearing this jurisdictional hurdle does not assure that such “victorious” litigant will stay in federal court. A potential counterbalance to more expansive federal court jurisdiction, given the “loosening” of the probate exception, where state probate (or trust) proceedings are in play, is the doctrine of prior exclusive jurisdiction. Under such doctrine, it is inappropriate for a federal court to exercise jurisdiction where there are two suits, one in state court and one in federal court, and the suits are in rem or quasi in rem. This is also known as the Princess Lida doctrine. This does not refer to a Star Wars character, but, rather, to the Supreme Court decision in Princess Lida of Thurn and Taxis v. Thompson, 305 U.S. 456, 59 S. Ct. 275, 83 L. Ed. 285 (1939). It has been held that this doctrine of prior exclusive jurisdiction has melded with the probate exception in cases involving state probate proceedings and estate administration, which may conflict with federal jurisdiction. See Selseth v. Darwit, 536 F. Supp. 2d 883 (N.D. Ill. 2008). In Princess Lida, state court proceedings in Pennsylvania were commenced concerning a trust set up to benefit Princess Lida of Thurn and Taxis, formerly Lida Eleanor Purcell Fitzgerald, emanating from her divorce from George P. Fitzgerald and payments from the divorce settlement. The Pennsylvania state court maintained jurisdiction of this matter for years, which included the filing and review of accountings. After several years of having the trust in the Pennsylvania state court, and while the same was still pending, Lida instituted suit in federal court in the Western District of Pennsylvania alleging mismanagement of the trust funds and requesting various relief. Subsequently, both the state court and the federal court enjoined the parties in the other action from pursuing the same. The state court’s ruling was affirmed by the Pennsylvania Supreme Court. Obviously, at a stalemate, with each court (the state and federal) ordering the parties not to pursue the other case, the United States Supreme Court accepted jurisdiction and acted. [I]f the two suits are in rem, or quasi in rem, so that the court, or its officer, has possession or must have control of the property which is the subject of the litigation in order to proceed with the cause and grant the relief sought the jurisdiction of the one court must yield to that of the other. We have said that the principle applicable to both federal and state courts that the court first assuming jurisdiction over property may maintain and exercise that jurisdiction to the exclusion of the other, is not restricted to cases where property has been actually seized under judicial process before a second suit is instituted, but applies as well where suits are brought to marshal assets, administer trusts, or liquidate estates, and in suits of a similar nature where, to give effect to its jurisdiction, the court must control the property. The Supreme Court thus ruled that the Common Pleas Court of Pennsylvania had acquired jurisdiction, and that the federal court for the Western District of Pennsylvania was without jurisdiction of the suit subsequently brought for the same or similar relief, and that the parties in that suit were properly enjoined from pursuing it. This principle, which has become known as the “Princess Lida Doctrine”, has been applied routinely throughout the country. See Dailey v. National Hockey League, 987 F. 2d 172, 175 (3d Cir. 1993) (acknowledging the continuing validity of the Princess Lida doctrine). In short, “[t]he Princess Lida doctrine requires abstention based upon principles of comity and in rem jurisdiction.” Selton v. U.S. Bank Trust Nat. Assn., SD, No. 6:14-cv-1278-ORL-37KRS, 2015 WL 4987706, *4, 2015 U.S. Dist. LEXIS 109487 (M.D. Fla. August 19, 2015). Florida courts have likewise adopted the principles enumerated in Princess Lida and noted their applicability to cases involving trusts. Blake v. Blake, 172 So. 2d 9, 10 (Fla. 3d DCA 1965) (“As between courts of concurrent jurisdiction, it has generally been held that the court which first exercises jurisdiction over a matter retains such jurisdiction to the termination of the cause.”). Indeed, prior to Princess Lida, the Florida Supreme Court held that “a court which has in its rightful possession or under its control property involved in litigation may exercise jurisdiction over such property to the exclusion of all other courts, and another court of concurrent jurisdiction cannot interfere and wrest from it the jurisdiction first obtained.” Maddox Grocery Co. v. Hay, 100 So. 747, 747 (Fla. 1924). 1 See, e.g., Jones v. Brennan, 465 F.3d 304 (7th Cir. 2006); May v. J.P. Morgan Chase & Co., 2009 WL 482719 (E.D. Mich 2009). Section 55.601, Florida Statutes, is Florida’s Uniform Out-of-Country Foreign Money-Judgment Recognition Act (the “Act”), and it governs the recognition of out-of-country foreign money judgments. The Act provides that an out-of-country foreign judgment that is final, conclusive and enforceable where rendered is conclusive between the parties to the extent that it grants or denies recovery of a sum of money. See Fla. Stat. § 55.604. There are, however, certain mandatory and permissive exceptions. Specifically, an out-of-country foreign judgment is not conclusive if the judgment was rendered in a system which does not provide impartial tribunals or due process, the foreign court lacked personal jurisdiction or the foreign court lacked subject matter jurisdiction. See Fla. Stat. § 55.605(1). In contrast, a Florida court may exercise its discretion to refuse to recognize an out-of-country foreign judgment if: (i) the defendant did not receive notice of the foreign proceedings in sufficient time to enable it to present a defense; (ii) the judgment was obtained by fraud; (iii) claim for relief is repugnant to Florida’s public policy; (iv) the judgment conflicts with another final order; (v) the foreign proceeding was contrary to an agreement between the parties to settle the dispute out of court – i.e. an arbitration agreement; (vi) the foreign proceedings a seriously inconvenient forum; (vi) the foreign jurisdiction would not recognize a Florida judgment; or (vii) the foreign judgment is one for defamation under laws that do not provide much protection for freedom of speech and press in that case as would be provided by the United States. See Fla. Stat. §§ 55.605(2). Insufficiency of service of process is not expressly listed as a grounds for non-recognition of an out of country foreign judgment. Moreover, the Act provides that a “foreign judgment shall not be refused recognition for lack of personal jurisdiction if the defendant was served personally in the foreign state.” Fla. Stat. 55.606(1). Nevertheless, ineffectual service in a location other than the foreign state may still serve as a defense to a foreign judgment by forming the basis for an argument that the foreign court lacked personal jurisdiction. See Fla. Stat. § 55.605 (1)(b) (“An out of country foreign judgment is not conclusive if…. the foreign court did not have personal jurisdiction over the defendant.”). In Florida, a court’s exercise of personal jurisdiction is dependent on strict compliance with the requirements of service of process. See Kolenski v. Flaherty, 116 So. 2d 767, 769 (Fla. 1959) (“[I]t is the fact of valid service–or the fact of invalid service–as shown by the evidence, that is controlling insofar as the question of jurisdiction over the person of the defendant is concerned…”); Abbate v. Provident Nat’l Bank, 631 So. 2d 312, 315 (Fla. 5th DCA 1994) (“Absent strict compliance with the statutes governing service of process, the court lacks personal jurisdiction over the defendant.”). Importantly, when analyzing personal jurisdiction, a Florida Court should conduct its own analysis of a foreign court’s exercise of personal jurisdiction, irrespective of the foreign court’s conclusions. See Restatement (Third) of Foreign Relations Law § 482 (1987) (“Even if the rendering court had jurisdiction under the laws of its own state, a court in the United States asked to recognize a foreign judgment should scrutinize the basis for asserting jurisdiction in the light of international concepts of jurisdiction to adjudicate.”); Wellington v. Dept. of Revenue ex rel. Kober, 708 So.2d 1040 (Fla. 4th DCA 1998) (holding Iowa court’s statement about personal service was not determinative where judgment was entered by default). As a result, where a there is ineffective service of process, a foreign court should lack personal jurisdiction providing a defense to the enforcement of the judgment in Florida. Nevertheless, in a 2008 opinion, the Third District Court of Appeals held that insufficiency of service of process did not provide a defense to enforcement under the Act. See Israel v. Flick Mortgage Investors, Inc., 23 So. 3d 1196 (Fla. 3d DCA 2008). In Flick, the defendant argued that the foreign court lacked jurisdiction because it was notified of the foreign lawsuit by registered mail. The Court rejected that argument holding that “[o]n the particular facts and circumstances of this case, this claim must fail.” Flick, 23 So. 3d at 1198 (emphasis added). In reaching that conclusion, the court reasoned that: (i) Section (2)(a) of the Florida Act is the only provision potentially authorizing an attack on a foreign money-judgment due to insufficiency of service of process; (ii) Section (2)(a) focuses not the manner in which a defendant received notice of a foreign lawsuit, but on whether the defendant received notice in sufficient time to present a defense; (iii) the defendant actually appeared in the foreign proceedings and presented a defense; and (iv) the defendant challenged the foreign court’s personal jurisdiction in the foreign proceedings, but did not raise insufficiency of service of process as a basis for the foreign court’s lack of personal jurisdiction and therefore, waived that defense. As explained below, the reasoning underlying the Flick opinion is flawed. First, the Flick court’s holding rests on the faulty premise that Section (2)(a) is the only provision of the Florida Act that relates to insufficiency of service of process. See id. at 1198. Florida law requires effective service of process as a prerequisite to the exercise personal jurisdiction over a defendant, see Kolenski, 116 So. 2d at 769; Abbate, 631 So. 2d at 315, and Section (1)(b) of the Florida Act provides that “[a]n out of country foreign judgment is not conclusive if…. the foreign court did not have personal jurisdiction over the defendant.” Fla. Stat. § 55.605(1)(b). Thus, Section (1)(b) of the Act relates to the sufficiency of service of process. See also Restatement (Third) of Foreign Relations § 482 (“Even if the rendering court had jurisdiction under the laws of its own state, a court in the United States asked to recognize a foreign judgment should scrutinize the basis for asserting jurisdiction in the light of international concepts of jurisdiction to adjudicate.”). As a result, the Flick court mistakenly failed to consider whether ineffective service of process precluded a foreign court from obtaining personal jurisdiction and therefore is a ground for non-recognition of a foreign judgment under Section (1)(b) of the Florida Act. More importantly, however, the Flick court reasoned that actual notice of a foreign lawsuit, as opposed to strict compliance with Florida Statutes governing service of process, is all that is required for recognition of a foreign judgment under the Florida Act. Flick, 23 So. 3d at 1198. That reasoning is contrary to Florida law, which requires valid service of process, not actual notice, for a court to acquire personal jurisdiction over a defendant. See Abbate, 631 So. 2d at 315 (“The plaintiff asserts a harmless error argument, that service of process is designed to assure that a defendant is given notice of the institution of civil proceedings against him and that this was done here. This argument, however, runs counter to the overwhelming law in Florida that strict compliance with the statutes governing service of process is required. Absent strict compliance with the statutes governing service of process, the court lacks personal jurisdiction over the defendant.”) (internal citations omitted). Finally, the Flick court’s ultimate holding did not rest on the sufficiency or insufficiency of the plaintiff’s service of process rested on the defendant’s waiver of any argument related to ineffective service of process. See id. at 1199. [S]ubsection (1) of section 55.605 of the Act is phrased in mandatory terms: if any of the grounds listed in subsection (1) are found to exist, then the foreign judgment is not conclusive, and a Florida court cannot recognize it. This contrasts with subsection (2) of section 55.605 which is phrased in permissive terms. Hence if Chabert is correct that the French court lacked personal jurisdiction over him under the Hague Service Convention, then under section 55.605(1)(b) we may not accord recognition to the French judgment. Id. at 811 (emphasis added). The court ultimately overruled the defendant’s objection finding that he had been personally served at the commencement of the foreign suit and therefore the Court could not refuse to recognize the judgment pursuant to Section 55.606, Florida Statutes. Id. at 812. Nevertheless, the Court’s dicta indicated a willingness to consider and accept an argument that the foreign judgment was unenforceable because the court lacked personal jurisdiction due to ineffective service of process. Courts interpreting other states’ versions of the Uniform Out-of-country Foreign Money-Judgment Recognition Act have reached the same result. In Franco v. Dow Chem. Co., 2003 U.S. Dist. LEXIS 26639, Case No. CV 03-5094 NM (PJWx) (C.D. Cal. Oct. 20, 2003) foreign plaintiffs attempted to domesticate a foreign judgment against Dow Chemical Company (“Dow”). In the foreign lawsuit, the plaintiffs attempted to serve Dow, but mistakenly served an affiliated corporation, Dow Agro Sciences. See Franco, 2003 U.S. Dist. LEXIS 26639 at *5. The District Court held that the judgment was unenforceable because the foreign court lacked personal jurisdiction. Id at *26-27. A natural reading of the Act and the Fourth District’s opinion in Chabert support the argument that ineffective service in a foreign litigation is a defense to the enforcement of a foreign judgment in Florida. Notwithstanding the opinion in Flick, a party facing domestication of an out of country judgment in Florida should carefully scrutinize service of process in the underlying lawsuit to determine whether it was defective. 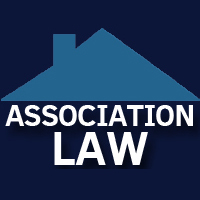 Many homeowners associations and condominium associations in Florida will be greatly impacted by a Florida appellate court decision that was issued in May of 2015. On May 27, 2015, the Fourth District Court of Appeal, in the case of Pudlit 2 Joint Venture, LLP v. Westwood Gardens Homeowners Association, Inc., No. 169 So. 3d 145 (Fla. 4th DCA 2015), interpreted the provisions of Section 720.3085, Florida Statutes, which allow a homeowner’s association to recover a portion of the past due amounts owed on an account in which title has been transferred through the issuance of a certificate of title (“COT”) in a mortgage foreclosure action, as being inapplicable where the association’s own declaration provides for a recovery which would be less than the recovery provided for under this section of the Florida Statutes. While the Westwood Gardens case dealt with a third-party purchaser at a mortgage foreclosure sale rather than a situation involving the acquisition of title by a first mortgage holder, it appears the holding in that case would also apply in the case of a foreclosure sale in which the former first mortgage holder (or its assignee) becomes the owner. Section 720.3085, Florida Statutes provides that in the event of the completion of a mortgage foreclosure action resulting in the issuance of a COT, the new owner will be liable for a portion of the past due balance that existed as of the date of the issuance of the COT. However, based upon the Westwood Gardens decision, this section will not apply unless the declaration for the association is silent, contains language which matches the language set forth in this section, or contains language which incorporates, by reference, the provisions in this section. The vast majority of homeowners’ association declarations I have reviewed over the past 25 years contain provisions similar to those that were found in the association’s declaration in Westwood Gardens. While the association in Westwood Gardens was a homeowners association, it appears the holding in that case could also be extended to condominium associations. As a result, all community associations should consider reviewing their declarations to determine if they contain provisions that deal with the right, if any, of the association to recover amounts that pre-dated the transfer of title, including a situation in which the transfer of title arises through the issuance of a COT from the purchaser at a mortgage foreclosure sale. The association should then consider whether to change that language (assuming the procedures for making an amendment can be satisfied), to allow for the recovery of amounts that pre-dated the transfer. The association could seek to change its declaration to provide for the same recovery as is available under Section 720.3085, Florida Statutes or Section 718.116, Florida Statutes, or it can seek to provide for recovery of amounts which exceed those available under the Florida Statutes. When a community association acquires title to a property through the completion of a lien foreclosure action, it must then determine whether to oppose an attempt by a purported lender to foreclose superior mortgage on the property. Lenders have often argued, based upon certain Florida appellate decisions, that the association has no legal standing to assert defenses to a mortgage foreclosure action in situations in which the mortgage was executed by a predecessor owner. However, there now appears to be a recent appellate court case to support the position of a community association. As far back as 2012, the Fifth District Court of Appeal, at least in dicta, stated that the issue of standing, as it relates to the right to challenge and/or defend against a purported lender’s claims in a mortgage foreclosure action, is not subject to a blanket rule and depends upon the relationship of the party challenging a mortgage to the subject property. Centerstate Bank Cent. Fla., N.A., v. Krause, 87 So.3d 25 (Fla. 5th DCA 2012). In the recent case of Tanner v. Bayview Loan Serving, LLC, 2015 Fla App. LEXIS 12027 (Fla. 5th DCA 2015), the Fifth District Court of Appeal, relying upon the principles of standing discussed in Centerstate, reversed the entry of a foreclosure judgment based upon arguments made by a junior lienholder, who asserted that the judgment was improper because the lender had failed to present evidence at a trial. 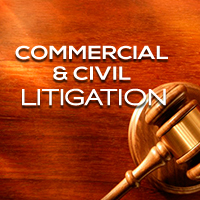 The trial court had entered a judgment based upon a stipulation between the lender and the borrower/property owner. Clearly, if a party holding a junior lien on property has standing to assert a defense to the enforcement of an allegedly superior mortgage, an owner of property, whether that person or entity was the owner when the mortgage was created or is a successor owner, would have that standing as well. An owner, even if that owner is a community association, clearly has an “interest” in the underlying property and would be adversely effected by a mortgage. Cases involving undue influence often include allegations of diminished mental capacity – i.e. that the alleged victim was suffering from Alzheimer’s, dementia or another mental disorder – and therefore was susceptible to the influence of another. The fact that an individual was susceptible to undue influence at one period of time is not, however, be conclusive as to their state of mind on another date. See Martin v. Martin, 687 So. 2d 903 (Fla. 4th DCA 1997). In Martin, court considered a will executed in August 1989 and a trust in May 1991. The Court held that that a determination the victim was susceptible to undue influence on one of those dates was not conclusive as to his state of mind on the other. As a result, litigants pursuing a claim for undue influence should be prepared to present evidence sufficient to raise the presumption of undue influence for each separate testamentary change or gift that is challenged. Recently, a Florida court has approved of the use of an inference of undue influence where the influence did not relate to the testamentary change at issue. See Blinn v. Carlman, 159 So. 3d 390 (Fla. 4th DCA 2015). In finding that the plaintiff had proven undue influence in the execution of a will, the court relied on a voicemail which recorded the defendant exerting influence, in part, by disparaging the plaintiff. Although that conversation that was recorded did not relate to the changes in the decedent’s will, the court reasoned that “if appellant were so bold as to openly display such influence over [the decedent], then the court could reasonably infer that similar or greater influence was occurring in the dark during their marriage.” Id. at *3. Thus, it may be possible to prove undue influence through generalized evidence showing a pattern of influence that is not directly tied to the challenged testamentary changes or gifts during the time those changes or gifts were made. With summer having just ended, now is the time to discuss the importance of saving for retirement with your children and grandchildren. Many parents and grandparents will have wanted their children and grandchildren to work over the summer so that they appreciate the effort it takes to earn an income. Therefore, many will have worked a summer job; that is by itself an important step to understanding the value of the dollar and the rewarding feeling of earning one’s own income. The money they have earned is usually spent (or saved) however they would like. While there is nothing wrong with this, the savvy parent or grandparent will take this opportunity to shift their focus to their future. By creating a custodial Individual Retirement Account (an “IRA”), the child or grandchild that is a minor may begin to learn about saving money, investing assets, publicly traded markets, the benefits of income tax deferral, retirement matching programs, and the time value of money. So long as the minor has earned income for the year, they may create and/or contribute to their own IRA (either a Traditional IRA or a Roth IRA). Legal title to the account will rest in their legal or natural guardian as custodian of the IRA that is held for their benefit. The amount that may be contributed to the custodial IRA is limited by the lesser of the usual annual contribution limits for IRAs (i.e., Five Thousand Five Hundred Dollars ($5,500) in 2015), or the total amount of the minor’s earned income in that year. Also keep in mind that most financial institutions have a minimum account balance requirement. Often this could be One Thousand Five-Hundred Dollars ($1,500) or more, which may be less than what the minor earned during their summer job. There are however financial institutions that only require a One Hundred Dollar minimum balance ($100). For example, let’s say a grandchild earned Two Thousand Dollars ($2,000) this summer. The grandchild has several options, such as: (1) keep the Two Thousand Dollars ($2,000) and do with it what they will, (2) contribute all or a portion of it to their custodial IRA, (3) keep all of it, while a parent or grandparent makes a gift to the minor that may be used as a contribution to their custodial IRA, or (4) a combination of the second and third options. To illustrate these options, we will describe the second, third, and fourth scenarios. The second scenario will not be very appealing to the minor. That is natural, as they just worked very hard for their income (perhaps for the first time in their life) and the thought of saving the money for retirement is a foreign concept to them. Most minors will need some encouragement to get excited about retirement savings. The third scenario is the “have your cake and eat it too” option. There is nothing wrong with that in this context. The parent or grandparent may just wish to help start their retirement savings process and hope that it will engage the minor and turn on a light bulb for them. However, the fourth scenario is the most likely to cause the minor to become actively engaged in the discussion about saving and investing for their future, since they have skin in the game now. Their grandparent could talk with them and explain that if they agree to set aside One Thousand Dollars ($1,000) of their own money for their future by creating an IRA, then the grandparent will also give the grandchild One Thousand Dollars ($1,000) for that purpose. The grandchild has One Thousand Dollars ($1,000) of spending money and Two Thousand Dollars ($2,000) for their retirement. The next big decision is whether to create a Traditional IRA or Roth IRA. If the minor is being claimed as a dependent on an adult’s income tax return, then you should first check with the CPA preparing that adult’s income tax return. It is likely that the minor would not be able to claim an income tax deduction for contributions to a Traditional IRA. Therefore, a Roth IRA is usually the preferred choice. Moreover, once the minor begins taking their Required Minimum Distributions (in the distant future), the withdrawals will be income tax free and will have had forty (40) or more years to grow tax free. For instance, assuming an average rate of return of six percent (6%), that Two Thousand Dollar ($2,000) contribution would become Twenty Thousand Five Hundred Seventy One Dollars ($20,571) forty (40) years later. If the minor continues to make annual contributions to their IRA, this growth only compounds over time. It is also important to remember to fill out the beneficiary designation for the custodial IRA. Think through who is the likely choice as primary and contingent beneficiaries for the minor. If you feel the minor is mature enough to take part in this discussion, then ask them their opinion and desires on the matter. After all, the minor will eventually become owner of the IRA once the custodianship ends. Assuming that the parent or grandparent does make a gift to the minor, then what are the tax consequences to the donor? Because the donor would be making a cash gift to the natural or legal guardian of the minor, for that minor’s benefit, it will qualify for the Gift Tax Annual Exclusion since it is a present interest. That means that the donor may give up to the maximum contribution for the custodial IRA ($5,500) (assuming that the minor earned at least that much income) and because that amount is less than the Gift Tax Annual Exclusion amount i.e. Fourteen Thousand Dollars ($14,000) in 2015, it will be excluded from being a taxable gift, will not reduce the donor’s Estate or Gift Tax Exemption Amount, and no Gift Tax Return (Form 709) will be required to be filed (assuming the donor made no other taxable gifts). If you would like to discuss this, or any other gifting strategy for the benefit of minors, please feel free to contact us and we will be happy to go over your options with you.